The government is looking into the possibility of making doping a criminal offence, says sports minister Tracey Crouch. 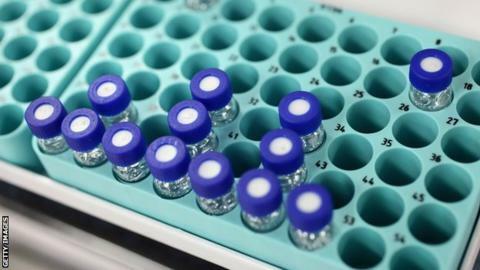 Athletics has been the subject of allegations of widespread doping, with the likes of Italy and France having already criminalised the use of prohibited substances. "It is an interesting idea," Crouch told the BBC. "I've asked officials in my department to have a look at the issue." She added: "We will make a judgement based on that in the near future." Crouch said in August that current sanctions were tough enough for Britain not to have to criminalise doping. The new world anti-doping code, which came into effect from 1 January 2015, means offenders now miss at least one Olympic Games. A first major offence carries a four-year ban, increased from two, with athletes banned for life if they test positive again. Crouch added: "UK Anti-Doping (Ukad) are just one member of a world anti-doping movement and that is something we have to take into consideration. "There are some interesting ideas for and against it. Whatever we do we have to make sure people who compete for this country are clean. "Ukad do an excellent job in terms of education and awareness and I have confidence in their ability to assess athletes in terms of their cleanness but I want to make sure we do look at all the options going forward."